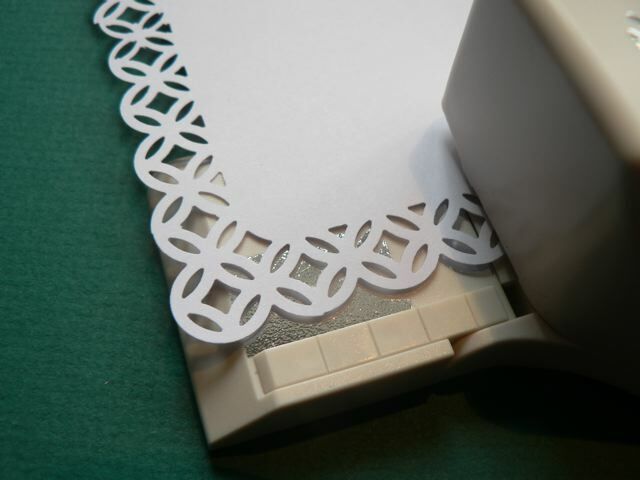 I mentioned yesterday that I was making a lacy envelope for an A2 card. 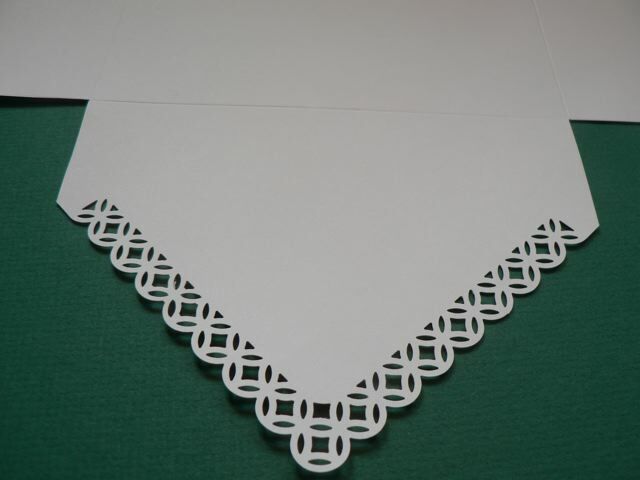 I like the look of the doily ones I’ve seen but have no doilies of the right size. I did have some MS punches that I thought I could make work so I had a go. The issue (in the UK) is that our paper is a different size to US letter paper. I didn’t want to have to cut down a full 12 x 12 sheet to get an 8 1/2 inch square to start with. I wanted to be able to cut down an A4 sheet and make that work – less waste. The sizes for making the corner + edge punches work was also based on an 8 1/2 inch square – also a problem to do what I originally hoped which was simply punch the edges of a square and fold it. So this is what I did instead. 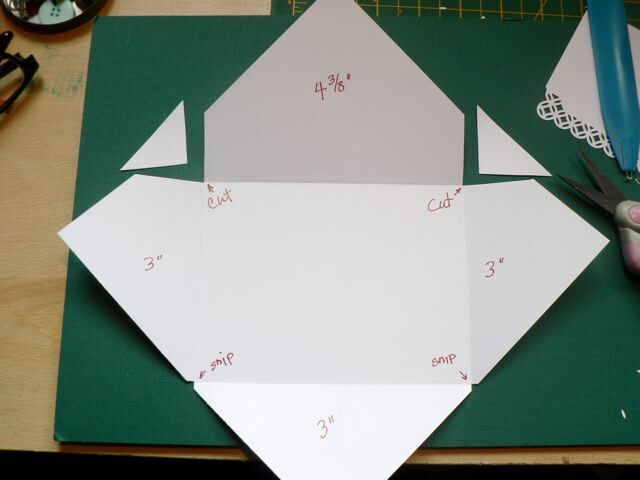 First, square up your A4 sheet to 8 1/4 x 8 1/4. I used the MS Score board with the nifty little envelope corner. 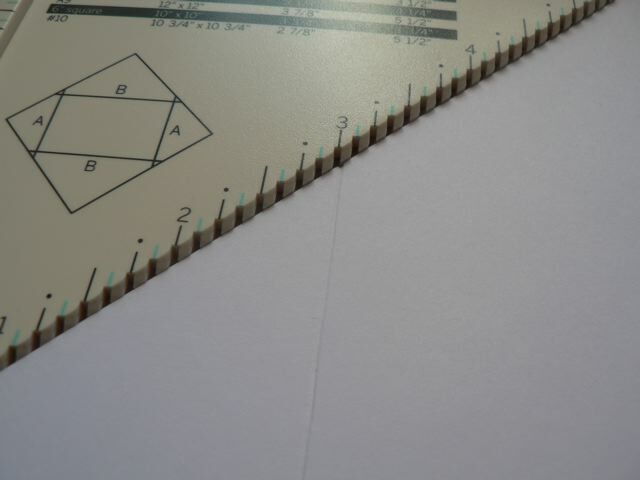 That helped get straight score lines with the paper on an angle. But I am sure you can do the same if you take care with another scoring board. On 3 of the 4 corners, score at 3 inches from the corner tip. On the 4th, score at 4 3/8 inch. Trim off the triangles where the score lines cross. This is what you will see. 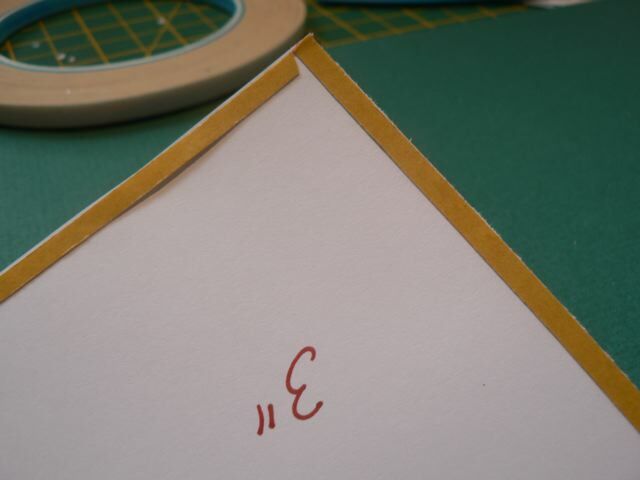 On the top point, what will be the flap of your envelope, punch the corner punch at the tip. Now, lining up with the punch guide, punch one set on each side. Now, lining up the first motif past the corner with the punch guide, punch again. This will make sure you don’t end up with the final motif half on/half off the flap at the end. Trim off at the end of the punching for a neater look. I added an anywhere-punch motif to the flap as well. 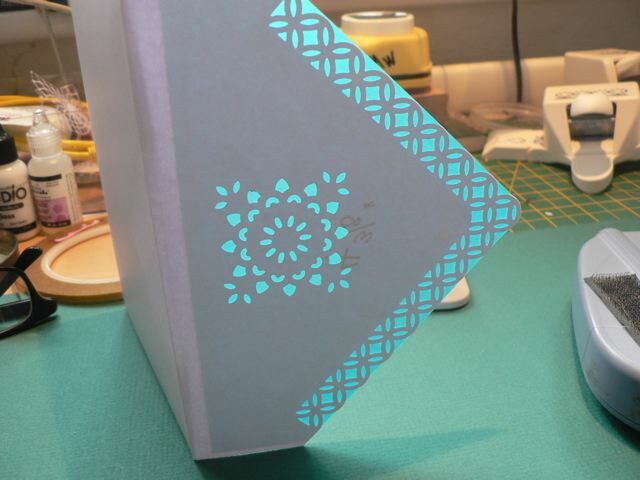 Using very thin double-sided tape, line the bottom flap. 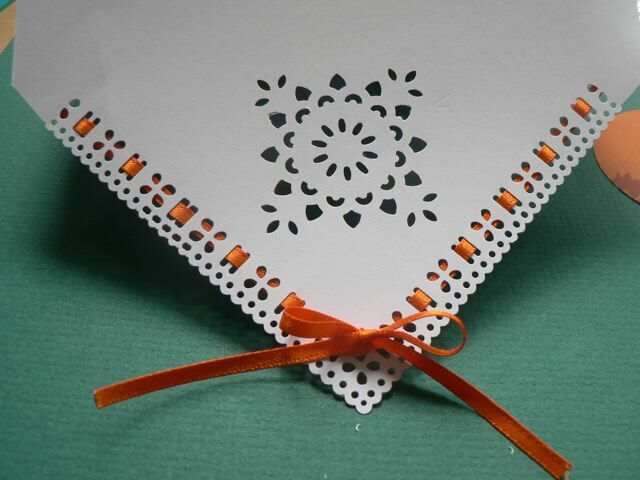 Fold in the sides and stick the flap over them to secure the envelope. Make sure nothing is sticking that shouldn’t! Of course your envelop won’t have the measurements written n it LOL! 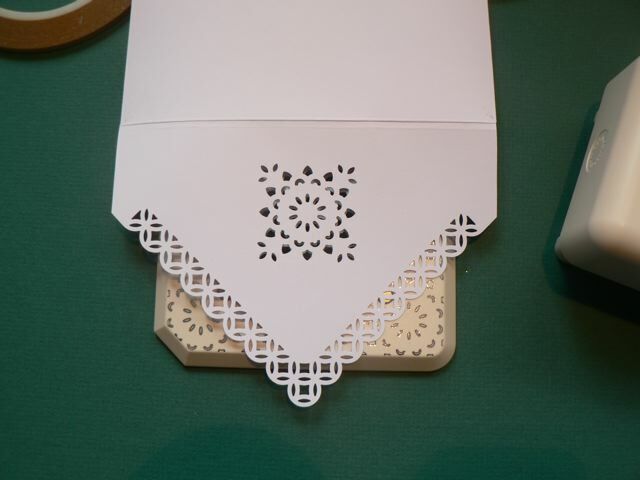 Now you can line the flap, either with a bit of patterned paper or with a bit of coloured vellum. 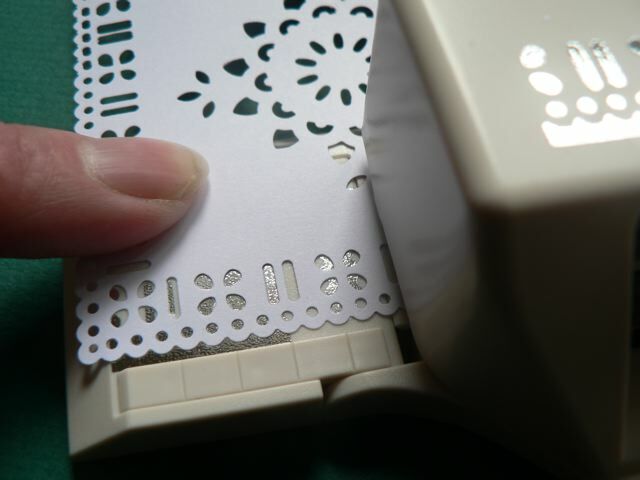 This one is with the Art Deco punch – THIS one is with the ribbon border punch. I may have been able to squeeze in a bit more on the flap sides, but I erred on the side of caution, again, lining up the first motif after the corner. Can you see how the other motifs don’t line up? It’s OK. I threaded some ribbon and tied a bow. 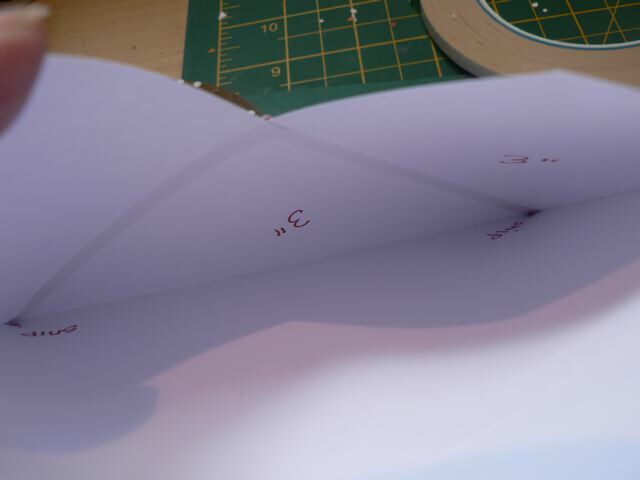 If you want to you can back the large punch with a circle of paper or vellum. 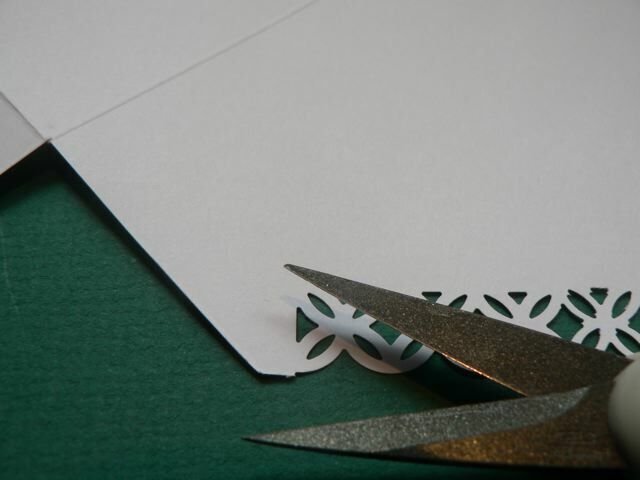 I would only use these for hand delivered cards, and to close I think I would either add a smidge of repositionable adhesive to the tip of the flap, or cut a small slit in the back of the envelope to slip the tip of the flap into. Maybe attach a circle, half stuck, to hole the flap. Maybe I’d just grip it closed as I handed it over …. Categories: cards, envelopes | Tags: cards, envelopes | Permalink. *squeal* This is marvelous!!! 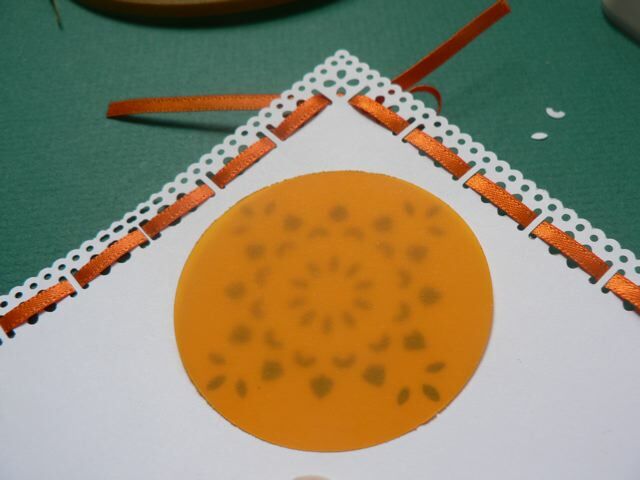 I must try this– thank you for a wonderful tutorial! This is a beautiful idea!! Our envelopes should be as pretty as our cards & this fills the bill! Thank you! !